I ride a total of 20km to and from work every day – rain, hail or shine. That’s about 4,600km a year, or the equivalent of cycling the length of New Zealand twice, and then some. 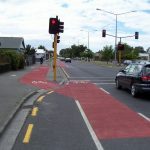 I’ve been doing this for six years now, and during that time I’ve learned a thing or two about cycling in Christchurch. Whether you’re considering riding to work, shops, church, university, or for general recreation and fitness, here are my top 10 cycling lessons. I don’t want to start on a negative note, given the overwhelming benefits of cycling, but safety is a genuine concern for many. Accidents happen, and most people tell me it’s their number one inhibitor to riding. They just don’t feel safe cycling on the road. The answer… I now ride an extra 4km a day (2km each way) to keep off the road, using an indirect series of connecting cycleways that stretch from Redwood to Christchurch Central. I’ve been doing this for three years now, and in that time I have not had any accidents. Sure, it might take a couple of extra minutes on the daily commute, but it’s worth it given the results. A car behind me beeped, gesturing at me to move over, despite a red light ahead and a need to stop anyway. Riding in Christchurch, chances are you will one day ride over a pile of wet leaves. My tip, lower your speed and maintain a straight trajectory. Do not peddle or pivot the bike. They’re slippery as ice and best avoided if possible. There is a subtle knack to cyclewear that goes beyond the immediate climate conditions. The challenge is to stay warm when cold and cool when hot as your workout heats up. Your clothing needs to adapt to these contrasting conditions, and the good news is, you don’t have to spend a small fortune on the latest cyclewear technology to solve the problem. We all make mistakes, and while it’s the cyclist who will tend to come off second-best in a collision (regardless of who is at fault), I’ll confess I’ve made some blunders of my own. Official figures from the 2018 census will be available in 2019, but according to 2013 data, there were about 9,000 people in Christchurch that cycled to work. I anticipate this number to be much higher today, based on increases I’ve observed and post-quake infrastructure improvements. Thanks so much for this, really interesting and I’m glad you adjusted your ride regarding your safety and your family. Awesome! An excellent and informative review of your cycling experience. Regarding safety, I’ve found I need to ride more defensively and not assume that having the right of way means you’ll get it. The PP cycle crossing over the Main North Road is an example of the need to double check even though you have a green light. Regarding keeping head warm on chilly days. I use a thin but very effective balaclava (from outdoor stores). Can have it just covering ears or pull down over face. No need to adjust helmet strap. I’d be interested to here your experience regarding wet weather gear. Also, puncture resistant tyre brand and model recommendation. For puncture resistant tyres you can’t go wrong with anything from Marathon. Do expect a struggle to get them onto the rim in the first place though; they’re a snug fit when new. You will need at least one of the string trick or the soapy water lube. Schwalbe Almotion are good too but they are also pricy. 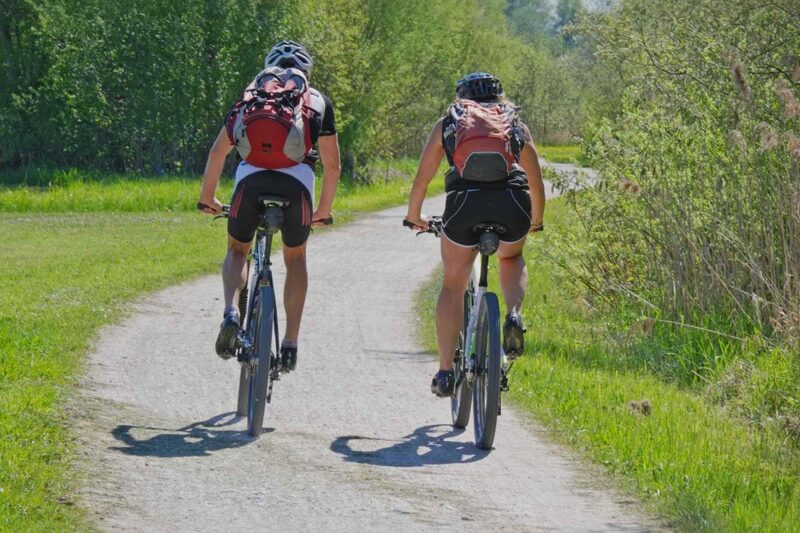 Downside of puncture resistant tyres is an increase in both weight and rolling resistance. You can get some of the benefits by squirting some latex tyre sealant into your tubes every 6 months, but that assumes you have removable valve cores. Stans and Caffelatex and Slime are known brands. “7. Beware wet leaves” I’d add loose gravel and sand to that too. Its extra bad in the weeks after an icy morning when the intersections have been gritted. I personally wear a brimmed/visored cycling cap under my helmet because I ride east into the sun on the way to work, and west into the sun on the way home. Its got ear flaps for wind and cold protection too. Hello everyone and thank you for your feedback and encouragement. I really appreciate it and there are some excellent additional tips being shared. Wet weather gear: I wear a thin (no padding), waterproof jacket with a zip. Ideally, this would be made of Gore-Tex (breathable), but that is very pricey. Puncture resistant tyres: I don’t have any particular brand I can recommend. If budget is a concern, you might get away with replacing only the rear tyre. That’s great advice LennyBoy. I’ll have to check that out. Thanks all for responding to my questions. Previous Previous post: Our Space?